I love my Monbento Original box and was therefore thrilled when Monbento announced that they would add a kids bento box to their line! Our Monbento Tresor arrived late last night and I am already in love! 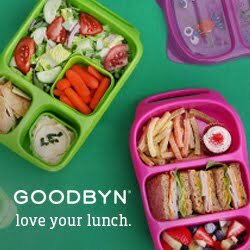 The quality of the lunchbox is superior and the design reminds me of my lunchboxes in Germany when I was in school! I haven't had the chance to take a lot of pictures yet but a full review is in the works!